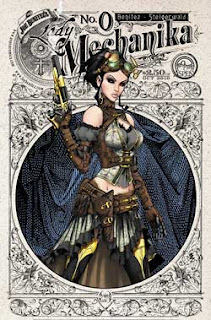 Aspen Comics has been one of our favorite comic companies to produce a couple of our favorite series now, which include Michael Turner's Fathom, Lady Mechanika, and Charismagic. 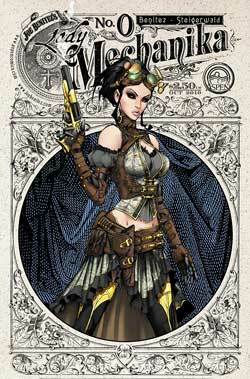 We love Charismagic, which is a series created by Aspen Comics Chief Editor, Vince Hernandez. Everything you know about magic will…vanish. Hank Medley was at the top of his game. As a Las Vegas magician, or as he preferred to be called-- "An Entertainer," his life was filled with fame, wealth, and excitement. Yet, his fortune and stardom quickly disappeared faster than his world famous vanishing trick. Soon, Hank discovers that magic, something he thought only existed in his fictitious Vegas show, is far more real than he ever could have imagined on stage. And this shocking realization sends him on a deadly quest filled with wizards, sorcerers, druids, witches and mythical creatures of magic-- to not only save humanity from a deadly catastrophic form of evil, but also to transform everything he knew about himself in the process. 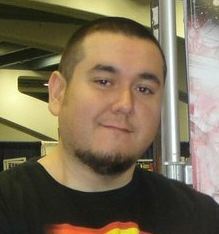 We recently interviewed Vince Hernandez and had a chance to see how his career began in comics and we wanted to know what we can expect for the future of Charismagic. 1) What were some of your favorite comics growing up? How about now? Growing up, the first books that really opened my eyes to the possibility of the wonders of comics were Todd McFarlane’s issues with Spider Man. 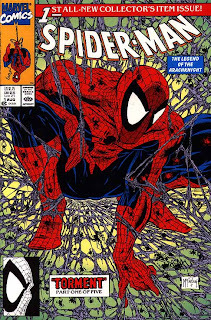 Up until that point as a kid I was mostly getting the comics because of the art, but Todd’s look on Spidey really pushed me to spend more time with the character and ultimately his story. I was also an avid fan of those old giant-sized EC Comics “Tales From the Crypt” books. I used to love the graphic novel horror format, which is funny because I’m not a big writer of that genre at all. 2) When did you realize you were going to enter the world of comics as a career? 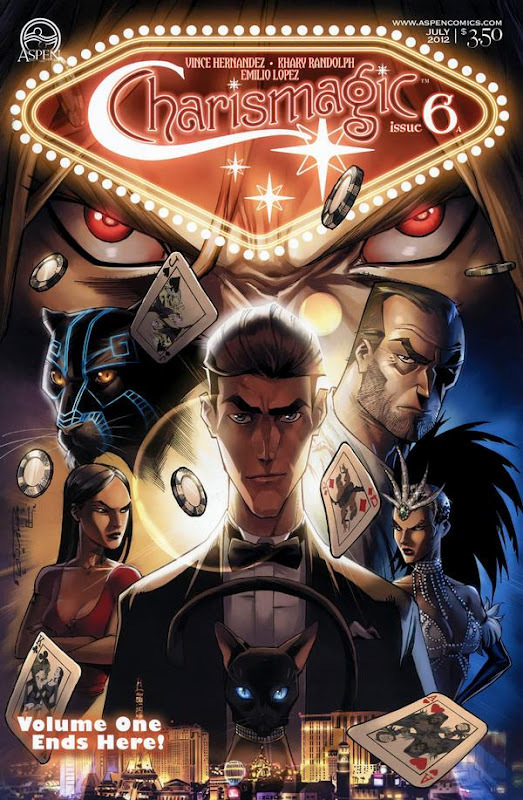 It’s interesting because when I first began working in comics at the age of 18, it was with Top Cow and I didn’t find that experience all that satisfying—even though I spent nearly 4 years there from 1998-2001. 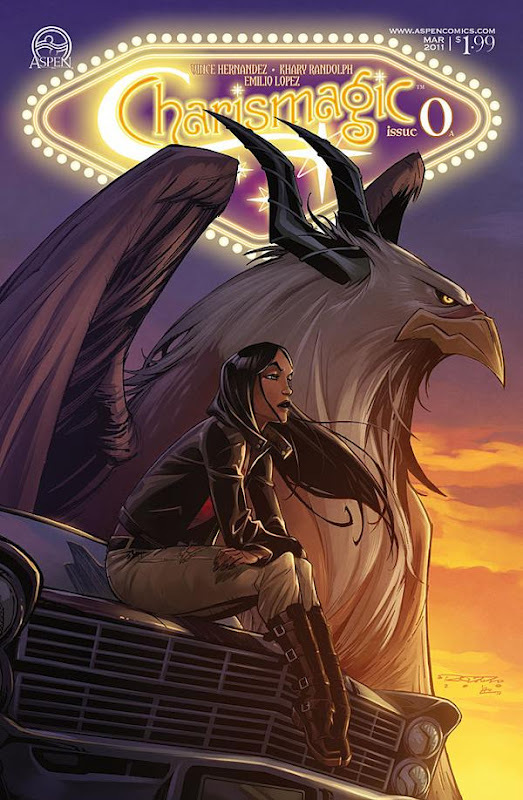 After Top Cow let me go because they couldn’t afford to pay me anymore, I spent a year taking odd writing jobs in the entertainment industry before joining up with Mike, Frank and Peter at Aspen. Right away I knew this would be my home and my career. Those three have given me every opportunity to grow as a creator as well as learn the inside workings of the comic book industry as an editor. I’m very thankful for the latter, as it has definitely given me an advantage as a writer-- being able to see the work of so many different creators, not just my own work. 3) Who are some of your influences? I’m influenced very much by more real-world figures in my life than any certain iconic individuals, so I would say my parents and brother who instilled a sense of values which include working hard and never giving up. Also, the aforementioned trio of Michael Turner, Frank Mastromauro and Peter Steigerwald have been very influential in driving me to reach my goals. But, I do have several authors I look up: Barry Eisler, Stephen King, Geoff Johns, Aaron Sorkin, to name a few. 4) What was your inspiration for creating Charismagic? I’ve always wanted to write a magical adventure, and this was at the top of the list for ideas when it came time to deliver. I wanted to take the readers along on this wild ride that we were all experiencing at the same time. 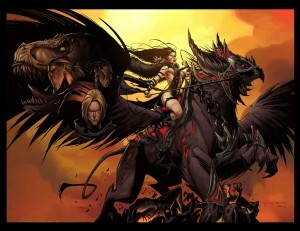 Once we began the process of creating the work, it was then Khary Randolph, Emilio Lopez, Siya Oum and Josh Reed who inspired the look moving forward. All of the wonderful visual elements they created from scratch helped inspire even more ideas and story elements I wanted to include. It was a very organic process from that point forward. 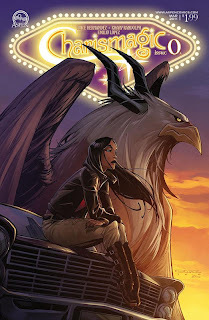 5) What can we expect for the future of the Charismagic series? Big things! In addition to the second volume coming up, and the Charismagic: The Death Princess mini-series, we have a special one shot featuring everyone’s favorite talking cat named Sparkles, as well as Charismagic novel in the works. Fans of the series can rest assured there will be plenty more of Charismagic in the near future. And this is really a tribute to the fans’ support from the start. 6) Any future projects we should know about? I’m also currently writing Executive Assistant: Assassins and we have a huge crossover event called “Executive Extinction” that I hope fans check out. Also, our biggest plans for next year revolve around our “10 for 10” initiative which will see 10 new releases for 10 months. Five new series, five popular returning series. It’s going to be huge and every first issue will be offered for the insane price of only a dollar. It will be our most ambitious project ever! 7) Where can fans expect to see you next? Any upcoming conventions? 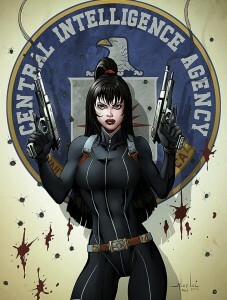 I will most likely be at the Long Beach Comic Con in October and WonderCon 2013 next. Beyond that, I’ll be busy behind the desk helping to crank out our huge list of releases for this year and beyond. We just want to say thank you to Vince Hernandez for the interview opportunity. We hope to catch up with him at one of the upcoming cons.